Place tomatillos, onion, garlic, and chile pepper into a saucepan. Season with cilantro, oregano, cumin, and salt; pour in water. Bring to a boil over high heat, then reduce heat to medium-low, and simmer until the tomatillos are soft, 10 to 15 minutes. 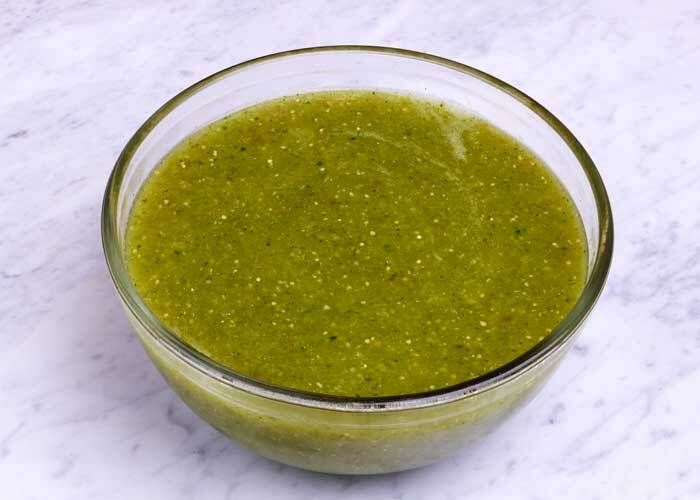 Using a blender, carefully puree the tomatillos and water in batches until smooth.